I've been looking around recently for good programs to stream radio stations and music in the background outside of my browser. Looking for something lightweight and is still supported by developers. If you do, what are you using and what are some great features it has? Same here. And if you don't want the GUI you can use the command "mpv link/file –no-video". While not super light weight (sat at 200~ MB of ram listening to a flac song) I use clementine. It's got lots of features and if you like your internet radio it's got loads of lists of them built in and obviously you can add your own. You can also have back ground sounds in it, rain, star trek ship noise, cats and hypno toad. Tbh there isn't much it doesn't make nice and convenient. I'd say it's well worth a look. I use mpg123, just open a terminal with it on tty7 usually and let it play. Then you can also make a script-daemon that responds to keycombinations to play the next probably wanted track. At least I did, only I lost the source code for it. But it was comfy as a blanket. Never had to think about choosing music again since the daemon did the job. Got very efficient since some songs were bound to work time tempo and set a mood for something like 'get things done feelin' efficiency. Since it is only based on having a neural net live in a binary state matrice. With cog pushbuttons. Too bad CogFS will get delayed. I don't listen to radio or podcasts, cmus is my choice. Dirt light, fast, comfortable after accustoming to the hotkeys. It just plays music. What are the Comfiest apps you sushi rolls know of? iOS or android. Personally, I'm pretty fond of sudoku apps, a nice challenge but still relaxing. Daygram. It costs like a dollar, but it's a great diary app. I used it everyday for at least six months before deciding to move to a physical diary. I just today uninstalled it and exported the entries to a word document, actually. Any diary app would do, I guess. Putting one on your homescreen is a great and easy way to start journaling. I find it to be a great way to release my thoughts since I'm quite introverted and don't say much to others. There's an app to scroll sushi for Android? Could i use in Overchan? Duolingo just added a Japanese course. Just when I think im done with that app, they pull me back in. 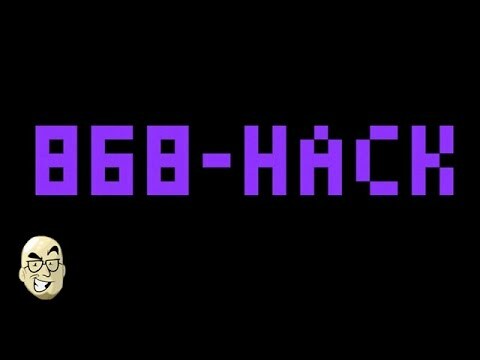 I cast my vote for 868-HACK. Its a turn based roguelike with resource management. You fight viruses and attempt to score points. Its kind of obtuse, but once you get the hang of how things work, its really good. On iOS and steam. Clickpocalypse II: no cost, no ads*, no IAPs, the best idle RPG out there. * actually there are temporary bonuses available if you watch, what I assume, are ad videos. never used it myself though. Free from obfuscated and pre-configured code. Fully committed to GPL, uses only free software (as in freedom) in their main package. With even the documentation licensed as FDL. Without 3rd party patches, sensible defaults or masked packages. Doesn't need obfuscated python libraries, only bash. No systemd (they've implemented their own init scripts system http://sourcemage.org/Init). Uses clean dependencies as they came from upstream developers, which by the same provides instant updates. My desktop runs Gentoo on an i5-3570K with 8GB of RAM. I'd love to run a source-based distro on my notebook, too, but I'm too afraid of the poor thing dying a heat death. I distcc to help my C2D era laptop. Compiling larger projects like Firefox took a very long time when I only used the C2D in my laptop, but it went much quicker when I could distribute such things over to other more powerful desktop computers. Compiles should be much quicker, and your laptop wont run hot if you only configure distcc to compile things on your other machines. You could also simply share the package directory from your faster computers. Depending on the package manager, it would simply install the already compiled package (CRUX ports works like this). Portage can do as >>644 says. Build packages for your laptop on your desktop, depending on the architectures involved you may need the crossdev tool. Then it simply becomes a question of how you want to access these binaries from your laptop. I believe you can do this on a per-package basis as well though I just built everything on my server when it and my laptop ran Gentoo. I have already looked into all options available to Gentoo, but unfortunately, none of them are flexible enough for me. distcc with a dedicated build server would be the only viable option, but I don't want to get a server just for that. But still, thanks for your suggestions, sushis! thanks for this OP. tried it out on an old Thinkpad and it really does feel easier to handle than say, Gentoo. I hope it comes back soon. I think it's ded and gone fellow rolls. From what I can tell there are people working on potential alternatives, and there are other sites out there where you can still grab animu. Unfortunately the database dumps were from 2016 but it's better than nothing. I've used that site a long time ago. It certainly isn't a dayfly, so I expect it to stay around for another long time. But I think one should still use a variety of sites, even for the same types of content. We lose too much when the likes of megaupload, oink, and what dies. Content should be mirrored on all kinds of different sites. Does anyone know what happened to gitla.in? After neetcode.org, another small, comfy git host - so small and comfy that the admin starred some of my projects! - went down for good, I switched to gitla.in. After updating my READMEs, I thought I had it sorted. The lainzine was even hosted there! But now that seems to be gone too. 1. Does anyone know why? Is it temporary? Is it to do with the lainchan drama? 2. What do I do now? Should I give up on cosy sushi roll-hosted instances and go for gitlab? Or should I bite the bullet, buy some server space and host myself? So it is. Couldn't git push yesterday, so must've just been temporary downtime. Recently, I've been drawing some system icons. Should I finish the set? I think it would look better to have the icons on the folders look as if they're on the folder itself rather than facing the camera. More like the audio card icon. Wanted to say that, but never got around to it. Also, would prefer if all devices had the same cord, either long or short. Mouse looks a bit like it doesn't fit with the rest. Other than that, really nice icons! I simply ran out of pixels with the icons on the folders. It's hard to do like that, with minimal anti-aliasing. Come winter break I should have some time. That's fine. Just don't procrastinate. Make one at a time and post them on here as you finish each one. The entire site is full of pure awesomeness. Sushi rolls, do any of you have any IRC channels you still enjoy lurking/participating in? I ask for I have none left; I used to idle in Quake and other video game scrim IRC channels but those have such moved to Discord for the most part. I am curious enough that I might venture forth and ask other not-as-comfy places, as well. I doubt there's any programming discussion in #lainchan. I don't go there anymore because every time I get in it's just videagaem talk. I didn't expect to see this many of us on sushichan of all places. I suppose that's just the hand at work. OP here. Been in #sushigirl and lurking #lainchan, and #lainchan is sort of programming? People are talking about C as I type this, but it fluctuates between unbearable garbage that I wanted to get away from and conversation I wish I was programming-savvy to be a part of. It's definitely an odd channel that doesn't really have a solid cultural place but is definitely between 4chan and 8gag, but it's not terrible. The sushis in #sushigirl kind of make me feel old even though I believe there isn't too much of an age difference (only a few years), some school talk mostly, but it's usually pleasant when it isn't dead. Jeez. I can see why you don't actively look; I don't think I've been in that many chatrooms at once ever in my life.